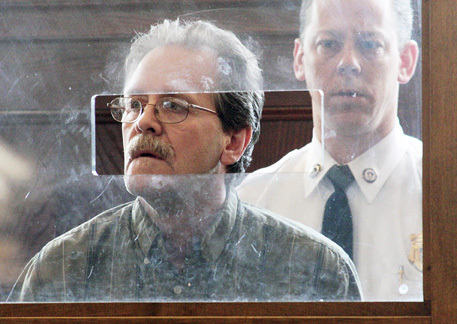 Walter Shelley, 60, of Tewksbury, Michael Ferreira and Edward Alan Brown, were all arraigned yesterday in Lowell District Court on various Massachusetts Murder Charges in connection with the 1969 murder of John J. McCabe. The Middlesex County District Attorney’s Office alleges that John McCabe, then 15, was walking home from a teen dance on September 26, 1969, when he was abducted and taken to an empty lot in Lowell, Massachusetts. The three men alleged to be the abductors are Walter Shelley, Michael Ferreira and Edward Alan Brown, then teenagers themselves. Prosecutors believe that Ferreira grabbed McCabe and dragged him into their car. The three men then allegedly assaulted him along the way, and once in Lowell, bound McCabe’s hands and feet with a rope and covered his mouth and eyes with tape. According to the Lowell Police, the men wanted to teach him a lesson. Shelley, Ferreira and Brown, however, allegedly drove off, leaving McCabe on the ground struggling for several hours. When the men returned, McCabe had died. Middlesex County prosecutors believe that the men then agreed to make a pact and not ever disclose what they had done. Lowell Police and the Middlesex County District Attorney’s Office were reportedly able to finally make arrests in this case because one of the men, believed to be Edward Alan Brown, had come forward, confessed, and implicated Shelley and Ferreira. Walter Shelley and Michael Ferreira have been charged with First Degree Murder. Ferreira has also been charged with Perjury for allegedly lying to a Middlesex County Grand Jury in 2008 that was re-investigating the murder for asserting he had no knowledge about McCabe’s death. Meanwhile Edward Alan Brown has been charged with Manslaughter. Boston Murder Lawyer Lefteris K. Travayiakis is available 24/7 for consultation on all Massachusetts Murder Charges.